Assassin's Creed Delayed On PC. Again. But This Time It's OK. If you thought the annual release schedule for the Assassin's Creed series was tiring, spare a thought for fans of the series who prefer the PC version. Every year, as regular as the series sees a release, the PC version of the game is delayed by a few weeks. And this year is no different. 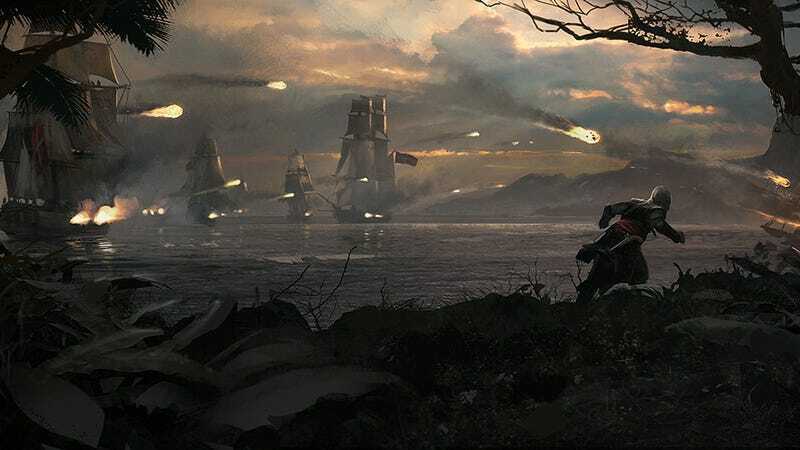 While the PS3 and Xbox 360 versions of Assassin's Creed IV will be out on October 29, Ubisoft tells The Elder Geek that the PC version has been delayed until "a few weeks after". Which should be a cause for sad faces, but remember, this is the year the series makes a generational split, with fancier versions available on the Xbox One and PS4. Presumably the PC version will be this fancier version, so a delay into November - which is the earliest these next-gen versions would be out alongside the new consoles - isn't so bad.